Finley, L. & Hartman, D. (2004). Institutional Change and Resistance: Teacher Preparatory Faculty and Technology Integration. 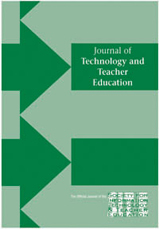 Journal of Technology and Teacher Education, 12 (3), 319-337. Norfolk, VA: Society for Information Technology & Teacher Education. Retrieved April 19, 2019 from https://www.learntechlib.org/primary/p/11460/.